"We want to thank everyone who has joined us at Cantina 1910 over the past year. Like any restaurant, we’ve had our ups and downs, but through it all our team has remained fully committed to serving sustainable, local ingredients through modern culinary techniques. 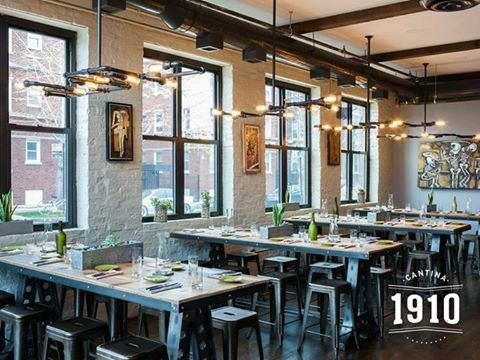 It is with heavy hearts that we announce the closing of Cantina 1910 and Café 1910 effective immediately. Despite this decision, we are extremely proud of the culinary experience we were able to deliver to those who dined with us and express our sincerest gratitude to Executive Chef Scott Shulman and Executive Pastry Chef Andrew Pingul and their teams for their tireless dedication to our mission. Unfortunately, the rapidly changing labor market for the hospitality industry has resulted in immediate, substantial increases in payroll expenses that we could not absorb through price increases. In the last two years, we have seen a 27% increase in the base minimum wage, a 60% increase in kitchen wages, and a national shortage of skilled culinary workers. As we look down the road, we are facing a December 1 change in federal labor regulations that will nearly double required salaries for managers to qualify as exempt, a 2017 mandatory sick leave requirement and another minimum wage increase. Coupled with increasing Chicago and Cook County taxes and fees that disproportionately impact commercial properties and businesses, we are operating in an environment in which we do not see a path forward. 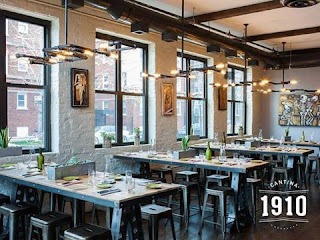 We are unable to further raise prices in this competitive restaurant market in order to sustain the labor costs necessary to operate Cantina 1910. Thank you again to all who supported us this past year." Sorry, I have no sympathy for bad business plans and complaining about people who want living wages and sick people staying home and away from my food. This whole article reads like a whine about the middle class from the top percent. You complain about not enough people to hire, while also complaining about having to pay people whom you do hire a decent wage. It's expensive to live in Chicago and it doesn't help your workers if they can't afford to live. Your lack of advertisement coupled with odd location in the A-Ville area likely contributed greatly to your demise. That is not the fault of "future changes for 2017." Good day. You hit it out of the park. I can only add location, location, location. Who puts a Costly Nuevo type restaurant there? Way to blame workers receiving living wages for your closure. Last time I was there we waited almost 3 hours for food and when it came it was terrible. Maybe that's why you're closing. So, the managment team was only making around 23-24k per year?!?! No wonder you had recruiting and management issues. This place was a bad idea from conception. Might have something to do with the service there. Tried it once. Waited 2 hours to get the food. The comments on this article over at DNAinfo are enlightening and entertaining, to say the least. I can't imagine this was solely a labor cost issue. I imagine the overhead to power that monstrosity, space costs and poor sales are the real culprits. Glad to see this place closing. Food wasnt all that for the price to be honest. I went once and never went back again. I really can't even imagine how they think their staff should live. Should they happily come to work from their homes in a cardboard box in the park? Straight from the homeless shelter to the kitchen and then back again when the restaurant is finished with them for the day? I'll bet they also expect these people to maintain a phone to be called in during rush periods, and have transportation to get into work. But blame the workers for wanting to have an actual apartment instead of a cardboard box. These guys knew nothing about restaurant management. I'm sure they spent a fortune on that building's conversion and jumped into something they had no knowledge in. Then their kitchen team walked out on them, obviously for a reason. Now, they are closing and blaming it on everything and everyone but themselves. Nice. FYI.... all other restaurants operate on the same regulations you do and they are not closing. Look in the mirror. There's the ones to blame. exactly to all of the above. I never heard anything good about this place, usually when a restaurant,starts out, with such a massive build out, they set themselves up to fail. I will continue to support the small family owned, high quality establishment in the neighborhood, who concentrate their capital, on quality food, and service. And somehow bongo room, a restaurant right across the street with what I'm assuming have the same rules and regulations, has been packed full for years. Sorry, but it sounds like customers just weren't impressed wiTh your sub par food and service! there are many long standing, successful restaurants in andersonville. Don't blame your employees' earnings. Excellent point. Also Bongo Room is only open for breakfast and lunch 6 days a week. Cantina was open 7 days a week and all meals. Shortage of culinary workers everywhere because tipping practices create schism between front of house and back of house staff. All restaurants endure this problem, and other issues you cited. This place had the trolls in a tizzy from the beginning. Why? Food was amazing both times I went. They were before their time here. Area is not ready for these kind of restaurants (no bongo room doesn't count). You clowns couldn't get over that this place wasn't Garcias or Fiesta la Mexicana. Personally I'm bummed. They created a great space that will again lie vacant. You all happy now? People told the management well in advance to the closure how to succeed here. What did they do? Snubbed the neighborhood and insulted everyone. Not a great way to fit it. I was super excited about this place and waited, and waited, and waited eagerly for it to open. I loved the way it looked. Loved the concept. Was a little skeptical when I saw it was going to be so huge. No nieghborhood-alone trade could support that much square footage, even if we all could afford to pay that much for dinner every night. And, the foot traffic south of Foster is, sadly, sparse, so that wasn't going to help. It needed to be a destination place. I live around the corner and despite all my excitement, I never went in. You know why? I could never see a menu. It wasn't posted on the window, I never saw it on the restaurant website. I need to know what I'm getting into before a special occasion restaurant visit. I want to know about the food. I want to know about the cost. They did not provide enough information about those things to entice me to walk around my corner to go in. No way is anyone going to make a place that doesn't provide this simple marketing strategy a destination. I didn't even now this restaurant opened yet and I drive by there all the time. Never saw any advertising. Only just hearing about it. Should tell you something about your marketing plan.